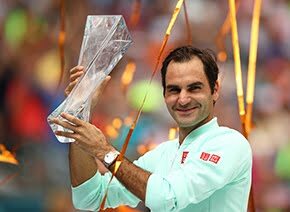 Roger Federer won his eighth Basel title on Sunday, battling back to defeat the surging Juan Martin del Potro, 6-7 (5), 6-4, 6-3 to clinch his ATP World Tour-leading seventh title of the year. "I think we're both tired from a long season. Plus he's been playing four straight weeks now, very successful, so we tried to give it all we had," Federer said. "The crowd really enjoyed themselves and at the end there is always going to be a winner unfortunately in tennis. But I think we both can be very happy with the week today." 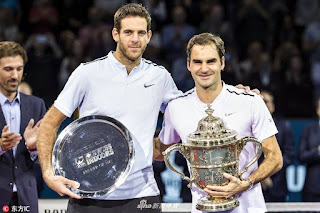 It appeared that the Swiss may fall short in his 13th Basel final when del Potro broke immediately in the third set to snuff Federer’s momentum and gain the lead in the decider. But the now 95-time tour-level titlist broke the Argentine twice in a row to turn the match around. Serving for the tournament, Federer missed out on his first championship point with a forehand error, but hit a crisp serve wide in the deuce court that del Potro couldn’t handle, sending his hometown crowd into a frenzy as he threw both arms in the air. "You've been playing great tennis this year. You are in fantastic shape, it's unbelievable," del Potro said to Federer after the match. "I would love to be at your age in the same form, but I don't think so." 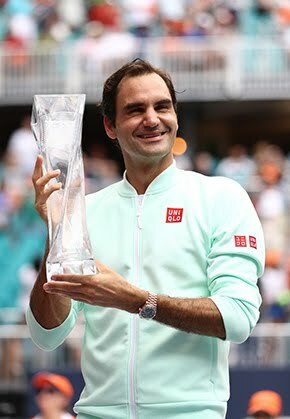 Federer moved ahead of Ivan Lendl into standalone second place on the Open Era titles list, only trailing Jimmy Connors, who owns 109 trophies. He now owns eight or more trophies at three different events: Halle (9), Wimbledon (8) and Basel (8). 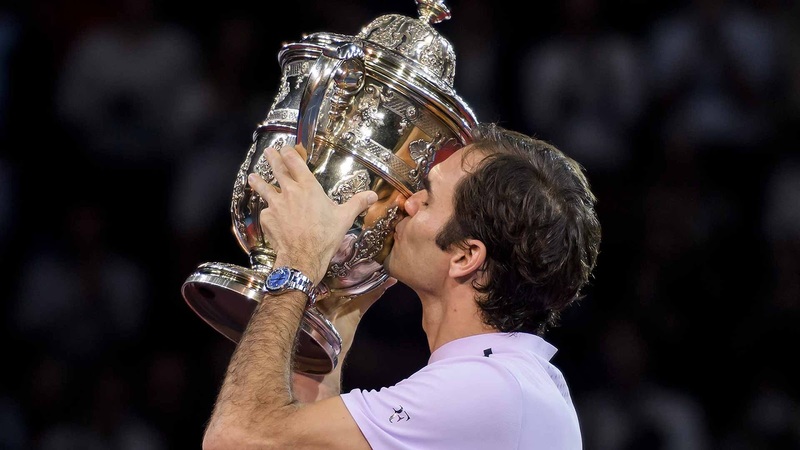 The Basel victory continues Federer's astonishing renaissance, rising from No. 16 in the rankings at the beginning of the year into contention for the top spot with two tournaments remaining in the season. He extended his record against the Top 10 this season to a tour-best 11-1 this week in the semi-finals against David Goffin. That 6-1, 6-2 victory was his most dominant against a Top 10 opponent since the 2014 ATP Finals, when Federer beat Andy Murray, 6-0, 6-1. For del Potro, Sunday’s loss was disappointing, but he has continued to play excellent tennis since sitting in 47th in the ATP Race To London before the US Open. The Argentine has used semi-final results in Flushing Meadows and Shanghai, last week’s title in Stockholm and his run to the Basel final to pull to within 190 points of Pablo Carreno Busta, who occupies the final London qualifying spot with one week remaining. "You've been on a great run since the US Open and before so I'm very happy to see you playing so well again and being able to play every week. That's something I would like to be able to do again," Federer said to del Potro. "All the best for Paris and then I'll hopefully maybe see you in London, too." Regardless of whether del Potro does in fact qualify for the year-end finale, he has set himself up for a strong 2018. The Argentine rose to No. 19 in the rankings on 16 October, his highest mark since 6 October 2014. While del Potro will move up to No. 17 when the new rankings are released on Monday, he was close to soaring all the way to No. 12, which he would have reached if he closed out Federer in Basel. The Argentine did not win one point on his second serve in the third set (0/6) and did not capitalise on his chances on Federer's serve. He reached 30/30 when the Swiss served at 3-1 and 4-2, but could not earn a break point. Federer extended his lead in the pair’s ATP Head to Head rivalry to 18-6, capturing his fifth win in their past six matches. After the final Federer announced he would withdraw from the Paris Masters. His final event of the year will be the ATP Finals 12-19 November in London, where he will chase a seventh title at the season finale. "My body is asking for a break," said the Swiss legend. "Basel takes a lot out of me emotionally. I had five matches in six days. I feel sorry and sad for Paris. I love to play at Bercy, it's a few times now that I've not played there. It's a tough one but they have to understand that it's for the cause of staying injury-free and healthy. "I'd like to be fully fit for London and for 2018. "It was an emotional match," Federer said of his victory. "But a good one, I think, for the fans."